Seventy per cent of road signs in Delhi had design flaws and were installed at wrong places, a study by the Institute of Road Traffic Education said. New Delhi: Across the world, motorists are expected to diligently follow road signs, but in Delhi, doing so may actually land people in trouble, according to a study. The study found faulty road signs may be behind traffic rule violations and accidents. The study was conducted on 14 major roads in the national capital spanning some 85 kilometres by the Delhi-based Institute of Road Traffic Education or IRTE. Seventy per cent of road signs had design flaws and were installed at wrong places, the study said. It said of the 1,514 regulatory, warning and information signs on the surveyed roads, at least 1,098 or 75 per cent did not meet legal standards. Regulatory signs such as "stop" warnings have to be followed, while warnings signs are used to alert drivers of potential dangers ahead. Information signs provide details about distance and landmarks. Depending on the category, these signs differ in shape, size and colour. 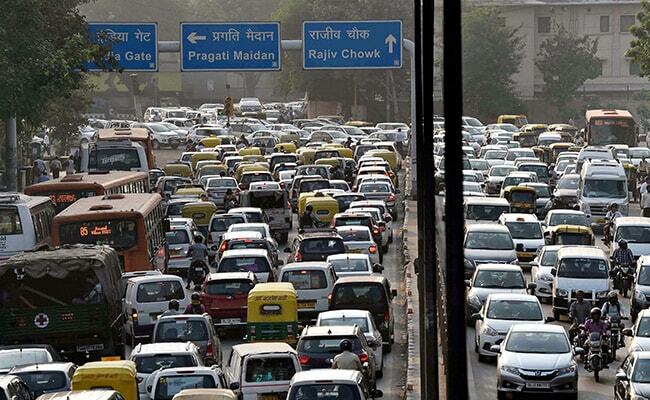 But in Delhi, they have been interchangeably used, which often misled motorists, the study said. The study said most primary and secondary traffic signals at intersections were found to have malfunctioned or wrongly installed. "One of the major deficiencies was short blinking green signals used instead of an amber signal. The duration of amber clearance before the red light appears is so short that in present conditions a large percentage of drivers are being caught without any fault," IRTE chief Rohit Baluja said. The IRTE said the proposed Motor Vehicles Amendment Bill, 2016, which has been passed by the Lok Sabha, seeks penalties such as imprisonment of up to a year and fine extending up to Rs 5,000 for not following traffic signs. "Motorists will be liable to be prosecuted due to such faulty road signs and signals, which will defeat the very purpose of the provisions of the new legislation," Mr Baluja said. The IRTE's study said the faulty signs did not meet requirements of the Indian Road Congress codes and the United Nations Convention of Road Signs and Signals, 1968, of which India is a contracting party. Out of the 1,514 signs, 801 or 54 per cent, were inserted within either blue or yellow rectangular boards. "Blue is only permitted for compulsory regulatory signs as well as facility information signs. Yellow is not prescribed by the IRC except in construction zones," the study said. It said the Public Works Department used blue outer boards while the New Delhi Municipal Council has taken the liberty of using yellow as insertion boards, making the signage "more of fashion and show rather than for regulation and warning".